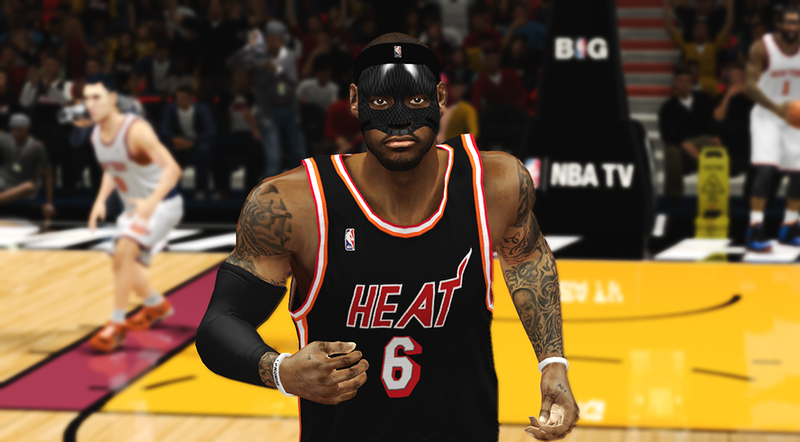 This mod for NBA 2K14 adds a black protective mask to the default cyber face of LeBron James. 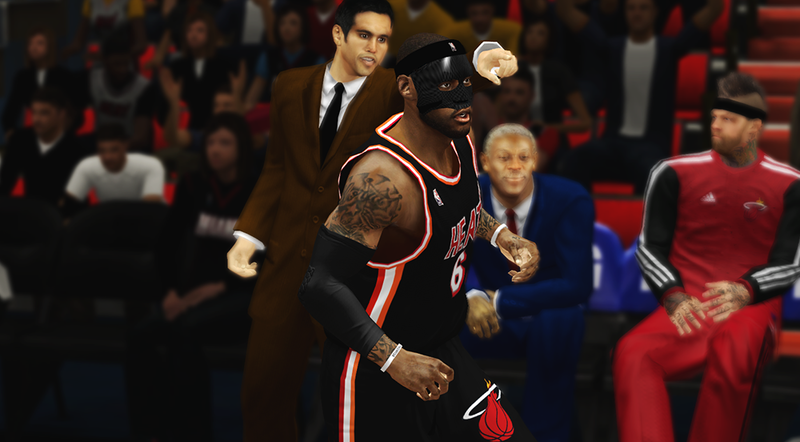 He wore a black mask against the New York Knicks on Thursday to protect his broken nose. 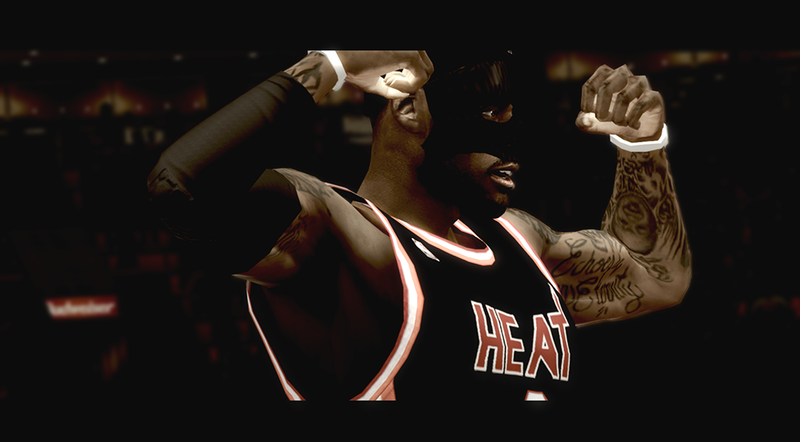 Check out the in-game screenshots below! 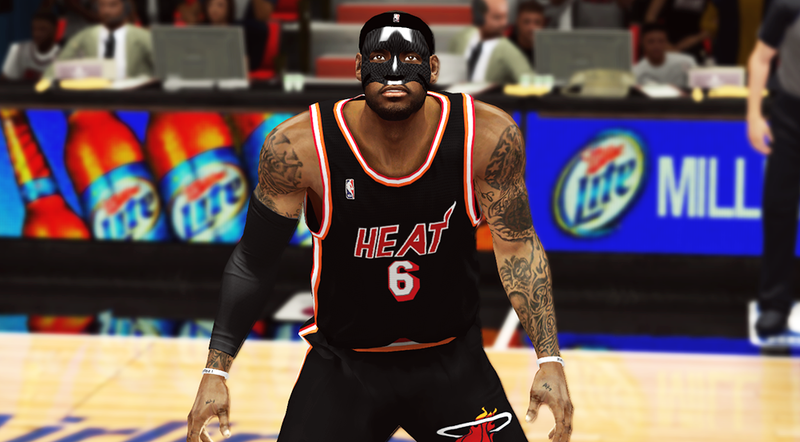 How to install: Download the cyberface patch and extract it in your main game folder *\Program Files\2K Sports\NBA 2K14.